The conclusion to “The Others”! The traitor in the team is revealed! Who is BLACK MANTA working for? 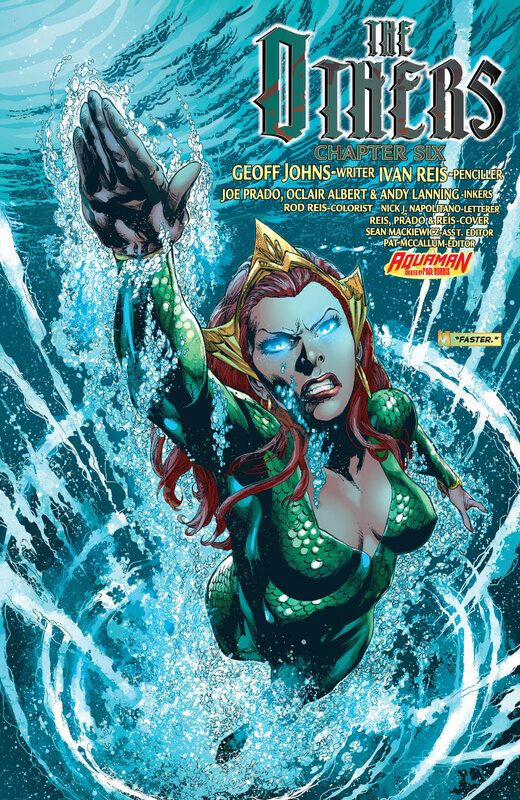 The Others: Yawara, Prisoner, Volstak and the operative; contact Mera after Aquaman left on his own to deal with Manta. With her help they manage to save Aquaman who was at Black Manta’s mercy. Volstak saves Arthur from certain death and dies in his stead. An Emotional and angry Aquaman vows Black Manta will die! Art- I love Ivan Reis’s art and Rob Reis’s colors right now they are easily on the level of my all time favorites which includes Sarah Pichelli and John Cassady. Y&R- How funny was it that Mera Aquaman’s woman and Yawara Aquaman’s ex almost had a cat fight over Aquaman? Very ****ing hilarious! Emotion- Volstak’s death and the illustrations really sold the scene. 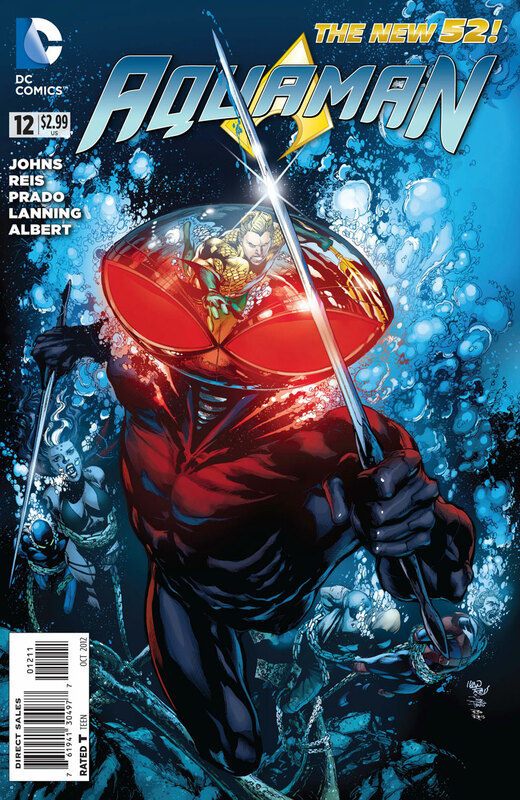 These pages were the pay off for following this series the connection between these characters and Aquaman’s powerless rage to stop Black Manta. It was the perfect scene, moving, touching and spine tinging. Cover- Somebody hold me, Ivan Reis is making my fingers and spine tingle with this stunningly gorgeous cover. Here we have Black Manta as the center piece with Aquaman’s team bound and drowning in the background. The colors of his costume, black and red are brought to life by Rob Reis’s dynamic colors. This is arguably the best cover this month! Action- Blood, sweat and tears, this one had it all! How much do I love this new Aquaman series? Let me count the ways! The death of Volstak may not touch everyone. Perhaps Yawara’s death would have been more far reaching.